Rand Paul filibuster: Marco Rubio name drops Wiz Khalifa, Jay-Z on Senate floor. 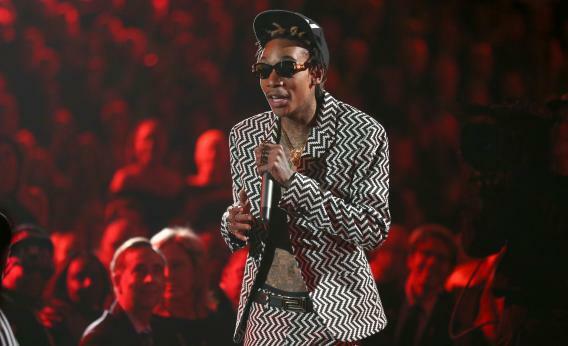 Rapper Wiz Khalifa performs onstage during the 55th Annual GRAMMY Awards at the STAPLES Center on February 10, 2013 in Los Angeles, California. Anyone who turned off the late night coverage of Rand Paul’s filibuster—aided in the end by 12 Republican senators—missed this moment. Rubio’s entrance into the filibuster was unexpected, for a good reason. The only bill passed by Congress in the past year that really dealt with drone usage or legality was the FAA Reauthorization Act of 2012. It gave the FAA a deadline to write regulations for government use of drones, and it legalized—for 2015—commercial use of drones. Rubio voted for it. Paul was one of only 20 senators who voted no. But last night, Rubio joined the ad hoc group of senators questioning the most controversial use of drones, something that spooks the industry he’d helped to expand.